I’d like to share with readers just a handful of comments taken from recent emails that I’ve received from members of the sacred hierarchy (priests or bishops), each of whom are in full communion with the Church; serving in a parishes or diocese, in the present case, somewhere in the U.S. or Europe (making anonymity necessary). – You write and say what we priests can’t! – Your reference to Pope Francis in his remarks to Muslims reflects the ongoing attitude of post-conciliar Popes which I think only serves to undermine the Church’s true sense of mission. – In recent years I have come to see that the source of so much of what has befallen us in these times is rooted in a break with the traditional understanding of the role of the Church in society. I think you have pinpointed the true difficulties affecting the Church with great clarity. – The teaching of Pope Francis in the latest interview is freemasonic doctrine … a scandal to protestants … to reject proselytism, just proves the Catholic Church is false, in their view. – The Novus Ordo is an anthropocentric and narcissistic approach to worship … developed by a select group with a clear agenda … I feel almost fraudulent by continuing to celebrate it. – It is brave of you to point out that [a flawed understanding] of the Church and her role in the world goes right to the very top. As long as this failed strategy endures there will be no new evangelization. – Thank you for your recent article on Pope Francis – finally someone is openly, and charitably, saying the truth about him; he is a modernist. The first is to share the kind encouragement that these men freely offered to me, so that you too might take heart in knowing that there are indeed members of the sacred hierarchy who see the current situation for what it is. Secondly, I also want to invite other members of the sacred hierarchy to consider submitting commentary that can be shared with readers going forward, anonymously, of course. I think it’s important for the growing number of laity, who with every passing day are becoming ever more aware of the dangers that lie ahead, to hear from priests and bishops who also recognize the gravity of the current situation, and who are committed to feeding the Lord’s sheep with the truth even when the men who occupy the highest places in the Church are not. Any clerics willing to offer their commentary, either in support of the views expressed here, or even if in defense of the things that I find so deplorable (like the contents of Cardinal Rodríguez Maradiaga’s recent speech), please send your thoughts to me at the address below, assured of complete anonymity. Is Vatican II an integral part of tradition? Thank you Mr V for sharing these personal expressions of support from these anon priests or bishops. I understand their need to remain anon for now perhaps…but there will come a time when they will have to face exposure….I`ll continue to pray to Our Lady for the clergy that when the time comes they will respond to their martyrdom( whether red or white) with the Courage of Our Divine Savior. I pray we all will as well. What “surprises” do the Archlayman of Canterbury and the Bishop of Rome have in store for next spring? As a footnote, before his recent visit to rome, Dr. Welby conferred with Gene Robinson, the retired and sodomarried Episcopal Bishop of New Hampshire. The head of the Anglican Communion, Archbishop Justin Welby of Canterbury, said in an interview with Vatican Radio that “a few” Catholic-Anglican “surprises” may be forthcoming. For those who have been asleep, who have not heard, who have not seen, better yet, for those who have either intentionally, or just by mere ignorance…..assumed that; the 2000 years history of the holy Church, had no holy Tradition………that; this ‘much to do about nothing’ by the Soldiers of Christ, in the last 50 years………. ‘was’, ‘is’ just a sensationalism, rebelliousness, disobedience……..IS A TRUE WONDER! For 50 years it was preached by the defenders of the holy faith……..from the rooftops! Countless articles, books, sermons……… visible persecution of traditionals, by none other, but Catholics………! Any honest heart, loving God, His Church……..could not have doubt, could not deny………..could not be silent, while evil ‘reigns’! This is not a ‘new discovery’! At the end, we have to praise The Most Blessed Trinity……..for raising up, in every century……..saints, martyrs, holy popes, bishops, priests, religious, laity……..defenders of the holy faith!………even in our life time. Let us not forget those who have followed the ‘Royal Way Of The Cross’ of Our Lord Jesus Christ, who shed their blood, who endured being persecuted, accursed for fighting the good fight, as true Soldiers of Christ ought to. May we all be united by the profession of the same faith, and be truly ‘one’ in defending it. Your faith is ‘crystal clear’. Keep the Faith! St. Pius X, ora pro nobis! I would like to ask all of you who have written to Mr. Verrecchio to make yourselves known publicly as I believe this is your Duty before Our Lord. If all orthodox bishops, priests and religious stood up, this disaster could still be stopped. Don’t remain silent anymore, God will hold you accountable for it! Your comment invoked in my mind, one of the prophecies of Anne Catherine Emmerich (from Life and Revelations of Anne Catherine Emmerich). And, of course, he had his own personal Army, “la famiglia armata” and he used them to round-up nitwits, ne’re do wells, and heretics and he crammed them into the prisons he had then just reopended. And, yet still invisibilium within the Hierarchy is that Prelate who embodies Tradition to such an extent that it could be used as a force applied against our Inertia Into Indifferentism. We Traditionalists were abandoned long ago when the revolution struck our Shepherds so deeply and so profoundly that they scattered – not us. I have to write that even though pain is the coin of purchase in the economy of Divine Salvation and that the violent bear it away;this is not a fun time to be alive; exciting yes, fun – no. From “Saint John Fisher” by Michael Davies……. …..Fisher saw clearly that the teachings of the apostate friar named Tetzel, were treason to the Faith and poison to the souls of simple men. His duty as a bishop, and his inclination as an honest man, both impelled him to fight the spreading of such a plague. …….While unwavering his fidelity to and defence of the Church, Fisher made no attempt to defend the indefensible behaviour of many churchmen from the pope downwards……. ……..YET it was not even on account of this vengeance of God abandoning them to a reprobate sense that I exulted. There is a still more evident proof of God’s avenging hand. It is related in the Book of Genesis of certain men that they resolved to build a tower, whose top should read to heaven, so as to leave their names famous to posterity. The world was then on one tongue, but God so punished their pride as to confound their speech, so that one understood not the other. The same punishment has befallen these factious followers of ‘Luther’…….they also had conceived in their minds that they would build a new Church, and get fame throughout the world. And in this endeavour it is wonderful how united they were and banded together, so that they seemed to be like one man, with one heart and mind. Nor would they have ceased from their work……..had not God, pitying His Church, looked down from on high, and bridled their madness by strife of tongues……. …….Who then does not see that God is fighting for His Church, since He has put confusion in their tongues and turned their arms one against the other……. …..”Now this is eternal life: that they may know Thee, the one true God, and Jesus Christ whom Thou has sent. I have glorified Thee on earth: I have finished the work which Thou gavest me to do.” (John 17:3-4). + Jesus, Saviour of the world, sanctify Thy priests and sacred ministers. + Mary, Queen of the Clergy, pray for us; obtain for us many and holy priests. Saint John Fisher, ora pro nobis! Halina…beautifully expressed and right on target..”What so many priests ….have been deprived of …is ……The Oath Against Modernism”.No chance that oath was taken aware deliberately…nah.. PLEASE, PLEASE, PLEASE, for Heaven’s sake, come out into the open to proclaim the true gospel of Our Blessed Saviour Jesus Christ from the rooftops!!! The world NEEDS to hear the unadulterated TRUTH, not the modernist ramblings coming out of Rome! Do not be afraid to follow our Lord along the via dolorosa into Calvary! The Church of Christ is hanging by a thread right now. Although I know through faith that the Adversary will never overcome the Bride of Christ, it is also true that the Church right now is only surviving thanks to generous faithful souls who pray to God daily and offer themselves as a sacrifice to atone for the sins of mankind. …..please forgive me, this is my last comment (for now) on this subject……. …..continuation from the above mentioned book……..”If the Protestant claim that because of the Reformation in England happened it must have been both necessary and wanted is incorrect, then why did it take place? The answer is simple…….The innovations in both ‘doctrine’ and ‘liturgy’ during the reigns of Henry VII, Edward VI, and Elizabeth I…….WERE IMPOSED ON THE PEOPLE FROM ABOVE WITHOUT ANY EVIDENCE OF POPULAR SUPPORT FOR THE CHANGES AMONG THE PEOPLE. (apply this to post-Vatican II era)…..
‘The Bishop of Rochester did not content himself with condemning abuses in the Church whether in England or far-away Rome, but spared no pains in rooting them out in his own diocese. His constant journeys about his diocese were undertaken for the discovery of abuses as well as for the consolation and help of the unfortunate. He wrote: “BISHOPS be absent from their dioceses and parsons from their churches…….We use by-paths and circumlocutions in rebuking, we go nothing nigh to the matter and so in the mean season the people perish with their sins”…….He also insisted that: “ALL FEAR GOD, also the contempt of God cometh and is founded of the clergy.” Any cleric with a guilty conscience ‘TREMBLED’ at the coming of the bishop who NEVER hesitated to apply canonical penalties even to those with friends at Court. Everywhere the bishop went, he would preach to the people. His style was simple and direct, avoiding rhetorical embellishments of the display of learning for learning’s sake. His objective was that they should easily understand what he was saying, and that they should ‘BECOME BETTER CATHOLICS, as a result of listening to him. …..He was holiness, learning, and diligence in his cure and in fulfilling his office of bishop such that for many hundred years England had not any bishop worthy to be compared unto him. And if all countries of Christendom were searched, there could not lightly among all other nations be found one that hath been in all things the like unto him so well used and fulfilled the office of bishop as he did…….He studied daily long, and prayed and meditated…..He was of great, godly stout ‘COURAGE’ and constancy, never dejected in adversity , nor elated with any prosperity, as one that put no trust in worldly things…….He was gentle and courteous to all men, and very pitiful to them……He like a good shepherd, would not go away from his flock, but continually fed it with preaching of God’s word and example of good life….. The most evident characteristic of Fisher’s manner of dealing with ‘heretics’ arrested within his own diocese was the intention of saving the sinner rather than condemning him. ALL those brought before him ‘abjured their heresy’ after he had reasoned with them…….It was PITY FOR SOULS which motivated him, pity for these very souls ‘who were entrusted to his care’, and who relied on him TO BE TAUGHT GOD’S TRUTH! HE COULD NOT BEAR TO THINK OF OUR LORD’S SACRIFICE ON CALVARY BEING WASTED………. ……Set in Thy church strong and mighty pillars, that may suffer and endure great labours-watching, poverty, thirst, hunger, cold, and heat-which also shall NOT FEAR the threatenings of princes, persecution, neither death, but always persuade and think with themselves to suffer, with a good will, slanders, shame, and all kinds of torments, FOR THE GLORY AND LAUD OF THY HOLY NAME! In this passage he had, without realizing it…….painted his own portrait and prophesied in detail the sufferings that would precede his martyrdom. It is good to hear quotes from priests, bishops and religious. As others have said, we need people who are willing to stand up and speak. It is a mystery that the Catholic faith which is so rationale, so steeped in history, so coherent, has yet spawned a populace of mute, passive, epiphenomina. But in this modern world- what is the worst to befall a priest, bishop or religious who does not go along. You won’t be herded on to a barge in the Seine and burned like the non jurors, you won’t be sent to the Tiber. Some of the best and holiest of our priests and religious get shunted off to places where they can barely minister. However, their are ways around this. I know an orthodox priest laicized over concocted stories of a sexual contact with an adolescent (destroyed, of course, by the auxiliary bishop whose sexual advances this priest had spurned). Others are just prevented from having any following or any decent assignment. In the current environment, it seems crucial for faithful priests and religious to make it a priority that they have spiritual sustenance- reverent liturgy, holy example, etc. The same goes for the laity. I think we need to be bolder to insist on this where we are planted and, failing at this then to exercise the doctrine of necessity to seek out another parish, or another monastery or another religious community. By the way, the number one priority should be to return the term of pastor for life so that every pastor does not have the sword of Damocles hanging over him. Yes, this is a good sign. However, much more could be accomplished when priests and bishops come forward PUBLICLY to denounce the aggressive modernism displayed by Pope Francis and his companions. I can only hope they learn a lesson from YOUR courage. Their sentiments are shared by many priests hesitant to come forward. I completely agree with Louie’s analysis. I find it honest and convincing. The previous blog post about a fork in the road which will demand a choice from us I think is inevitable if things continue as they are. The disgraceful speech of Cardinal Maradiaga and latest news of a questionnaire being sent to all local Churches prior to the synod on the family to be held next year all point to a continual undermining of Catholic teaching. Never have I witnessed such an upheaval among serious Catholics as I have since the arrival of this Papacy. 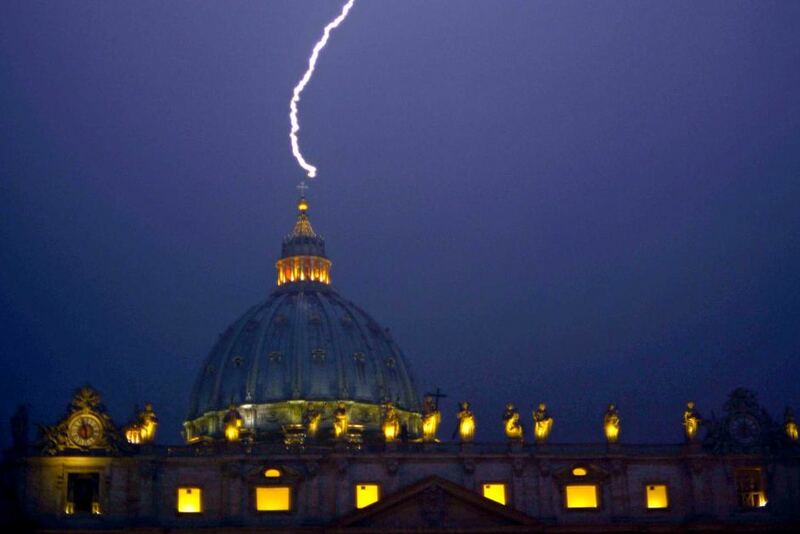 It seems to be bringing to a head the deep seated tensions that emerged with Vatican 2. I don’t think Pope Francis’ utterances can be put down to being misinterpreted by anti-Catholic media. He well knows the impact his statements and actions are having and he uses this informal means of progressing his agenda rather than the formal mechanisms and instruments of Papal magisterium. It is a clever Modernist move, because it allows the traditional teaching to remain on the books ad it were but it undercuts them by proposing and suggesting a different unCatholic attitude towards them. My sense is that in the next few months we are really going to see some problematic developments that are going to call forth from serious Catholics some tough decisions. Thank you so much, Fr. Mann. I’m very grateful for your forthrightness, as I am certain every reader here is as well. Of the 39 articles of the Anglican fatih – article 21 denies the Mass is a sacrifice, and article 25 denies ordination is a sacrament. Really, where is there to go from there? Hasn’t the Church of the wife culling henry who ate too much already done enough damage. God Bless priests and bishops with a conversion to a total clarity of the True Faith, full wisdom concerning the poison of progressives, and the courage to defend Truth (Our Lord) with their lives. Through prayers of the Queen of Heaven, Amen. To me there is something very peculiar going on in Rome and for some reason this particular Pope who just happens to be a Jesuit and finished second to Benedict in 2005 can’t be questioned without either being demonized or worse yet losing your job, there is something seriously wrong. Blaming the mainstream media just won’t cut it anymore so what happens? A small boy rushes up to hug him and he says Mass at John Paul’s tomb facing east and yesterday he said his all souls day mass completely in Latin. Is this just to distract us from the comments of the Honduran Cardinal or the new staff which looks worse than Paul VI’s or the questionnaire or possible female Cardinals? Dear Reverend Fr. Mann, thank you so much. May God bless you abundantly. Priests who see insults offered to God and remain silent are called by Isaias mute dogs. But to these mute dogs shall be imputed all the sins that they could have but have not prevented. “Do not be silent,” says Alcuin, “lest the sins of the people be ascribed to you.” Some priests abstain from reproving sinners because they do not wish to disturb their peace of mind; but, says St. Gregory, for this peace that they desire, they shall miserably lose peace with God. An animal falls, exclaims St. Bernard, and many are found to lift it; a souls falls, and no one is found to raise her up. Yes, sinners are not converted, although, according to St. Gregory, priests are specially appointed by God to point out the path of virtue to those who go astray. Hence St. Leo adds: ” The priest who does not withdraw another from error proves that he is himself involved in it.” St. Gregory writes that we kill as many souls as we see committing sin without endeavoring to apply a remedy. Thank you, thank you Father Mann! May Our Lady protect you – her dearest son! Beloved priests, speak to us and and on behalf of us as we lay people can only do so much, for as you know well the Church is in a dramatic state of crisis and confusion. What a privilege you have in representing Our Lord Jesus. 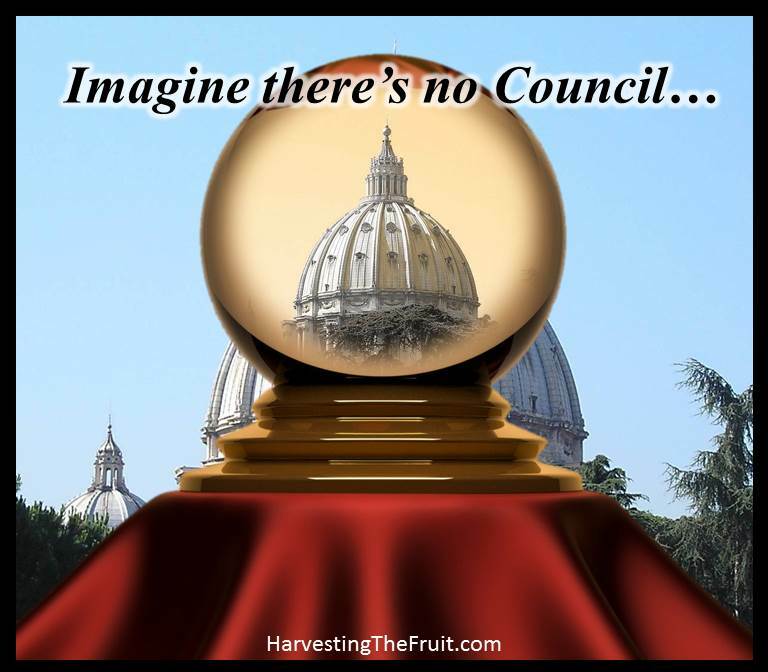 He is counting on you as we are – without you dear faithful priests we have no Catholic Church…. Rosaries for all of you that at the right time you will stand up for us….and Almighty God….crushing the modernist heresies…..
God bless you Fr. Mann. The way before you may be rough, unknown and rocky…but it is strewn with His blood and footprints so that you may know you follow your King and God. Viva Cristo Rey! Louie, Susan, Martina, Barbara, MMC, thanks for your words of support and your prayers. Pray for us priests that we not flee from the wolves. God bless you all. I pray for that you be protected under the Mantle of Our Lady, that you persevere and walk forth with courage. We love you. We would be lost without you wonderful priests who act In Personna Christi. God bless you. Please pray for Holy Mother Church as Her Passion continues. Never give up defending truth. We need more Priests such as yourself. Pax, Christi. God bless you Fr. Mann!